The departure of the summer months in the US is often associated with the frequent incidents of rain and storm. 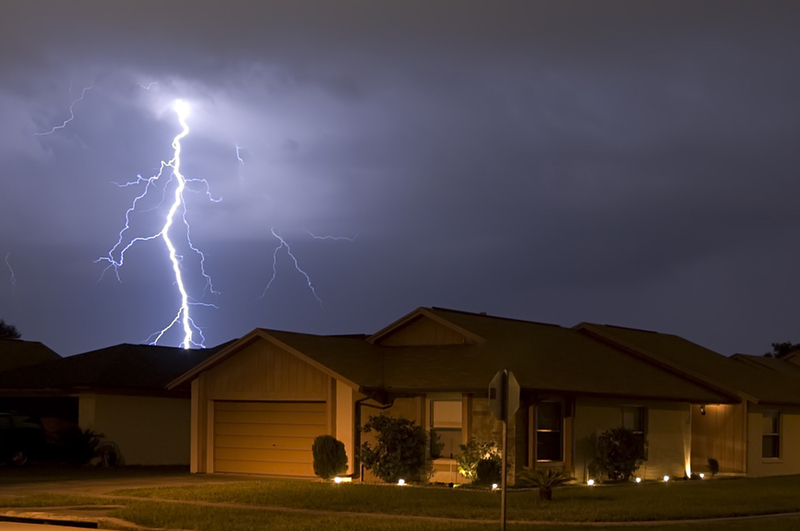 Storm becomes a leading cause for the severe roof damage during this part of the season. At Hamilton Roof pros we are thoroughly prepared to serve our clients in such adverse weather conditions. Our workers have the required knowledge and skills to fix such problems so that your roof gets the required treatment and there is no sign of any damage. On noticing any sign of wear and tear on your roof just bring the matter to our notice immediately so that we get the required time to assist you. If you neglect such sign then you may have to face bigger problems in the future. Such problems mainly include crumbling and water leaking from you roofs. Our workers after reaching your spot mainly diagnose the condition of your roof thoroughly and then provide you with the exact account of the damages. You can use our facts to obtain the rightful claim from the insurance company to cover the cost of repairing and replacing the damaged roof. Our workers will first remove the debris of dust and dirt particles to view clearly the cracks and pores which have been resulted because of the heavy blow of the storm. On seeing such cracks and pores they shall immediately plug them with the use of high quality coating materials so that such cracks to cease to develop during any adverse seasonal conditions. We know that roof is an essential part of your house and so our workers shall ensure that no harm is done to the main structure of the roof while plugging the cracks and pores. We always focus on completing our task within short period of time so that you do not have to stick up with us leaving aside your important works. We know the value of time and so our workers never delay in completing the work for obtaining more money. Our firm always seeks to establish a long term relationship with the clients and so it always sends its special inspection team to diagnose the condition of the newly replaced or repaired roofs of the residential and commercial establishments. Our inspection teams on noticing any such defective instantly fix it free of cost from the clients. Besides damages caused by storm also affect the other portions of your establishments like siding, gutter and so on. Such damages are hardly visible to the general eye but our experienced workers on having a single look can easily notice such damages and can fix it instantly. The main benefit that you can get from us is the permanent solution of your problem. We shall repair your damaged roofs in such manner that it will become resistant to every possible type of damages. Our service charge is quite reasonable and we can forward advance cost estimation on your request also. To know more about our services you can either give us a call or visit our office anytime.